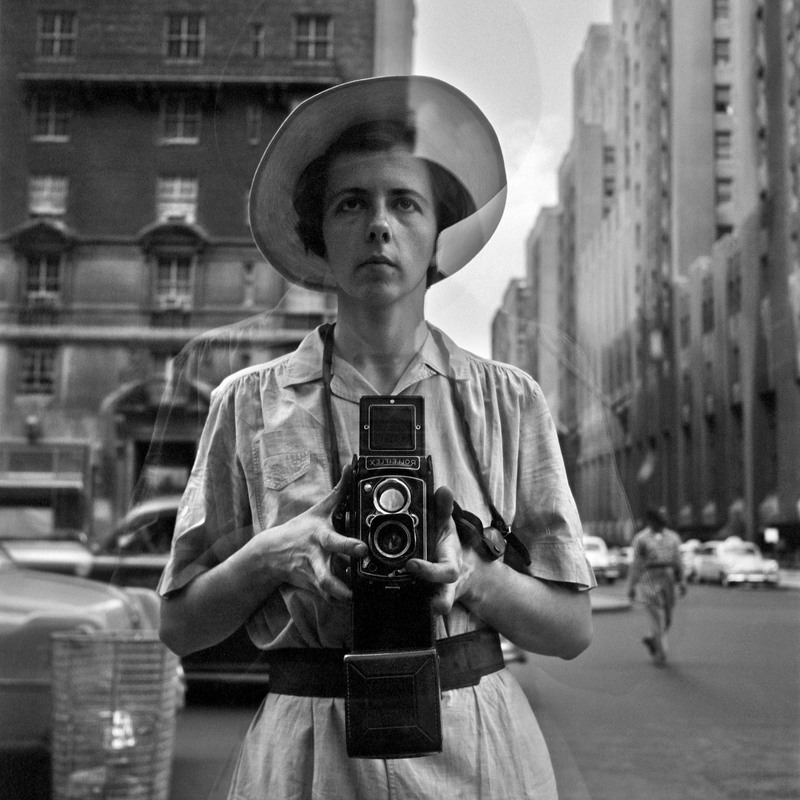 An Introduction to Vivian Maier, and the Phenomenon of the Artist-Photographer. Vivian Maier, born in New York in 1926, a nanny originally of French and Austrian heritage, was, is, in mine and Bill’s opinion possibly the best street photographer in the history of street photography. She has been hailed as one of the greatest talents of the Street Photography genre by experts in the field, since her chance discovery in 2009 when student and dealer in second-hand goods, John Maloof bought a storage container at auction for the grand sum of $389. What he discovered were boxes and boxes full of undeveloped negatives dating from the early 1950s, all the way through the second half of the 20th century, and up until her death in 2009. Her body of work consists of over 100,000 shots. She was incredibly prolific for an amateur photographer, and her work is impressive to say the least. According to those who knew her, she was never without her camera. Shooting at every possible opportunity, often with unwilling children in tow, Vivian Maier shot just about everyone and everything that caught her eye, or that she considered as having some artistic potential, including a raft of self-portraits. In fact Bill pays homage to Maier’s selfies in his series: 100 Days of Art – Day 30. Her work tells a story of the urban human condition as it existed around her, and as she saw it personally. Her black and white portrait work is exceptional, and something I will come back to later on as I explore compositional structure. She shot predominantly in black and white, although she also shot in colour. According to the film documentary about her life and discovery ’Finding Vivian Maier’, the eccentric woman with the odd French accent (although I am quite certain it sounded German), saw herself as some kind of journalistic spy. It was clear that she had a mission to document life as it happened around her, also known to have made numerous films, interviewing members of the public about local political affairs as news stories captured her attention. Nobody knew why she did what she did, or what prior artistic or photographic training if any she might have had, but it was clear that she saw herself as an artist, and through her eccentricities, I hasten a guess that she knew how good she was as a photographer, and that secretly she would have loved the fame and notoriety that she is now getting, despite her often fragile state. What was also clear is that Viv Maier, one of her many aliases incidentally, also suffered with mental illness, and her insatiable desire to record was an obsession, a compulsion. She lived, breathed, slept, and died photography. And although this may explain her output, it doesn’t necessarily define her artistic ability. So I am not advocating that mental illness is an affectation of the ‘artist’, or that it has any especial influence on the creation of artistic works per se, as has often been speculated ad nauseam. Not at all. What I am advocating is something else entirely, based on both innate ability and affectations of cultural upbringing. An innate ability moreover, that I believe we all exhibit. As I poured through countless images of Maier’s work and my fascination with her phenomenon grew, I began to realise that there was a consistent pattern in her work, something that no-one else seems to have noticed thus far. Click on the images to view the gallery. Vivian Maier, it would seem had little concern towards others, her subjects then, particularly in her portraits were merely props, they were actors in her artistic vision. She shot them because something about them within their settings captured her imagination, and compelled her to capture what she saw. Although no one can ever truly know what her motivations were, and I am merely conjecturing here, I am personally convinced however that she was chasing and capturing patterns and shapes, it was obvious to me because it is something that felt very familiar and that I recognise in my own work. It was also in keeping with the lack of empathy that she displayed towards her subjects, often being rude and abrupt with them just to get the shot, according to those who knew her. Although I don’t seek to compare myself to Maier for a number of reasons, what is interesting to me is why her work is familiar, and how that relates to the subject of our series. Also, the phenomenon of Vivian Maier raises other very interesting debates about what makes street photography the art form that it is, as she is the only acclaimed street photographer in the history of street photography for whom the established rules do not apply. This is something that Bill and I will be addressing later on in the series as we consider what defines Street Photography. There is conjecture over whether Maier was influenced by the work of Diane Arbus, and other street photographers that would have been her contemporaries. Although this may be a distinct possibility, it isn’t necessarily so, as I myself had no prior knowledge of street photographers or the specifics of the genre until very recently, but I am no less a street photographer or an artist. Yet, as I said, Maier’s work seemed familiar to me. In fact, many of the compositional techniques that Maier used, possibly instinctively, I have often seen in Bill’s work too, and the work of others. I will be presenting examples later in the series that illustrate this point. Books and images of Vivian Maier’s work can be easily found on the interwebs, so as much as I will be referring to her work throughout, I urge you to do a little research of your own and form your own opinions. Although I will be using some of her shots here to illustrate certain points, what I really want to discuss is why her work was so good, and why she is possibly the best street photographer in the history of street photography. What makes her art so exceptional? In fact, the question this raises for me as a fellow artist and street photographer is: What makes art ‘art’ full stop? How is that decided, and what factors are involved? This is a big subject that would warrant a book in itself, but for the purposes of this series, I wish to explore with you some of the key aspects of what makes a photographic composition ‘art’. Now, first of all we have to acknowledge that Street Photography is actually a form of art, as Bill quite rightly states in the introduction to this series The Art of Street Photography. Whether intentionally so, or whether it is solely for the purposes of documentary evidence, Street Photography is undoubtably art. In order to better understand the mechanics of this particular compositional medium, the medium of photography, we have to look at the history from which the format and presentation of the modern photo arose. As Bill explains in Track A: The History of Street Photography, the portrayal of ordinary street life in works of art began during the Renaissance, but it wasn’t really properly exploited until the early works of Canaletto. He gave the mundane and the squalid nature of the streets an air of romanticism that had never been captured before. Some have even speculated, owing to the photorealism of his works, that they were in fact the antecedent to the modern photograph, a historical document of their time. Although that may be true to a certain extent, in that what he was portraying was as he saw things in front of him, more or less, he was however, using various artistic devices that arguably attest to his exercising a compositional licence, so that by design his works were guaranteed to have a certain impact on the viewer. And it’s true, if you have ever stood in front of a real Canaletto painting, it is hard not to be drawn into his vistas and be captured by his wonderfully imaginative and highly artistic visions, as real as they may seem or not. There is a reason for this, and is something I aim to explore in more detail. Click on the images to view the gallery. Framed Art on canvas, as a form of decoration, and as a personal status symbol was pioneered by Canaletto who took on commission after commission as word of his great talents spread. His unique style of painting and of presenting urban life fuelled an insatiable appetite amongst the nobility and the aristocracy of Europe of the time for private works of art that could be displayed on smaller canvases within their stately homes. Smaller that is, than was considered the norm, and that traditionally would have adorned only religious and other officious establishments, including theatres of course. Nearly all artists from the Renaissance to the time of Canaletto were traditionally trained as theatrical set painters, they were accustomed to painting big. Canaletto made documentary art popular and accessible to the world, allowing mediums like photography to be later conceived and developed, based on the format of the small canvas. He was a rule breaker and an innovator, as his was a highly competitive industry, and I’m sure that had Canaletto been alive today, he would have taken to a modern camera, and street photography like a duck to the Grand Canal! How then, does the work of Canaletto and Vivian Maier coincide you may be wondering? What were they able to portray within their work that made them exceptional artists? 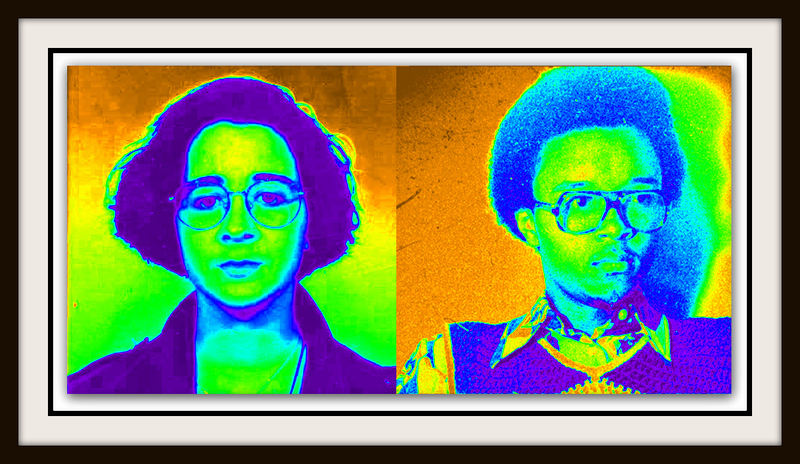 What is it that all of us, artists and non artists alike respond to in works that we consider art? This is where it becomes interesting, and I hope to address these questions in further detail in my following posts. I will try to keep the technical jargon to a minimum for the sake of maintaining interest, but in the interests of presenting a strong argument in support of my hypothesis, I will be presenting some well established, as well as some new ideas that hopefully will change the way you think and look at art, and particularly the Art of Street Photography. Coming next: Part 2 – The Visual Narrative of a Photograph: The Real Versus the Almost Real. This is an excellent introduction to your track and a great teaser. I laugh when “art experts” question whether photography in general and street photography specifically are art. Those same experts will then pay exorbitant amounts for a painting of a Parisian street, never knowing the real originator of street photographer, Eugene Atget, took photos for some of those artists to reproduce. I think readers will find fascinating when you show them the familiar shapes in these great shots. Not only will they not be able to “unsee” them, they’ll start showing up in their own work as well. A lot to learn, fun to be had. Maybe we’ll sponsor folks to post an old shot of theirs that use these devices even when they didn’t realize they were there. 🙂 I know I have some. A brilliant teaser and introduction to Maria’s (Bess Jones Photography) track in our Art of Street Photography, called the “The Art of Composition, and the Composition of Art.” What do great artists portray within their work that make them exceptional artists? What is it that all of us, artists and non artists alike respond to in works that we consider art? How do we find the art in street photography? Join in our series and find out. Track A details the History of Street Photography and Track B lays out the Composition and Art of Street Photography. Hope to see you there. Vivian Maier’s work is intriguing. Disturbing too – perhaps it is the sense of detachment from the subjects that you mention. I love the notion of making connections between street photography and Canaletto street scenes. I shall have to muse over that one. Thanks for the great post. I came here by meandering steps from Ark’s place. Thank you for stopping by Tish, it’s much appreciated. And I’m glad you enjoyed the post.